WHATADOG online store offical grand opening! Happy New Year from WHATADOG! 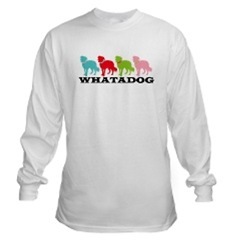 To start 2010 off with a bang, I’m writing with exciting news – the Whatadog on-line store has officially launched! To make things even better, all products will be shipped directly to your doorstep! Be sure to visit the WHATADOG Boutique on-line to check-out all the stylish pieces the store has to offer. I hope you all enjoy the new WHATADOG gear and I look forward to seeing you sporting it around town! Posted in WHATADOG appearal and gear | Comments Off on WHATADOG online store offical grand opening!